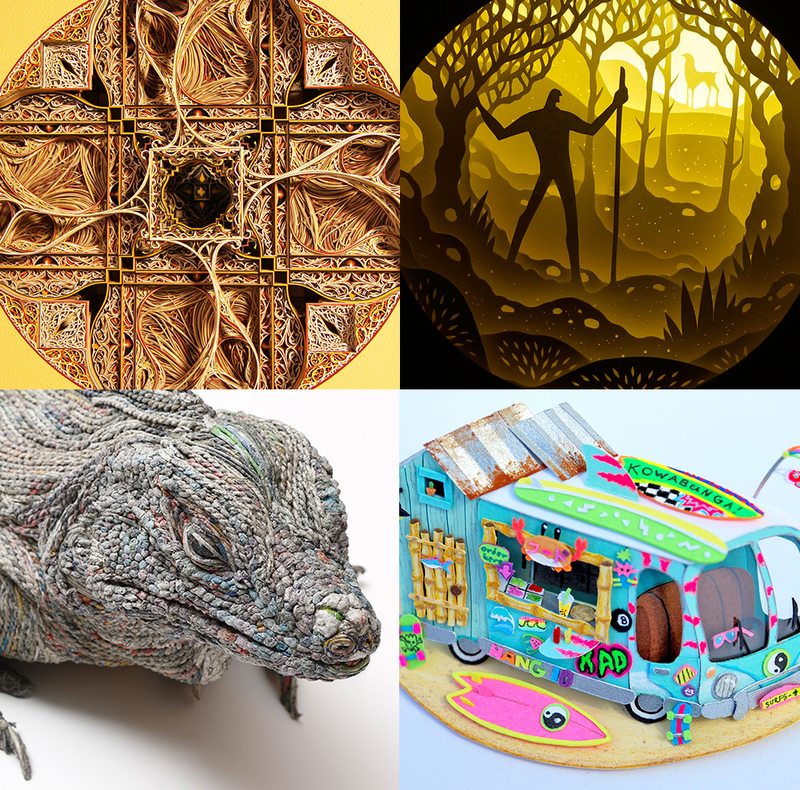 Virginia based artist Eric Standley has a body of work, as we have seen previously, that consists of compositions that use upwards of 250 sheets of colorful laser-cut archival paper that have been carefully layered and can take almost a year to produce. 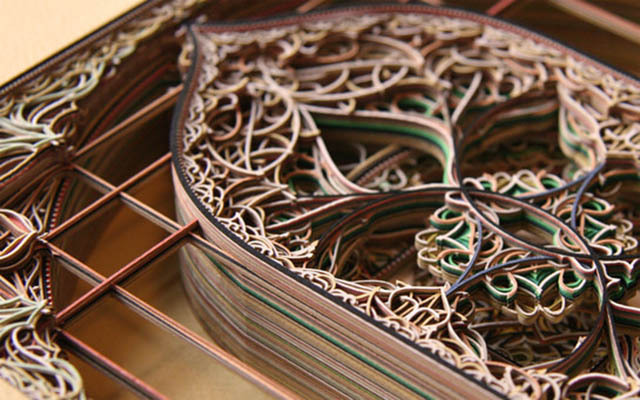 These laser-cut masterpieces, reminiscent of stained glass windows, are inspired by geometry found in Gothic and Islamic architectural ornamentation in an attempt to capture a reverence for the infinite. "I am interested in the conceptual migration from the permanence and massiveness of stone to the fragility and intimacy of paper," he mentions in an artist statement. You can see just how astounding his works are from this latest series, but also the video below captures the true awe inspiring wow factor of how incredibly detailed these works truly are. 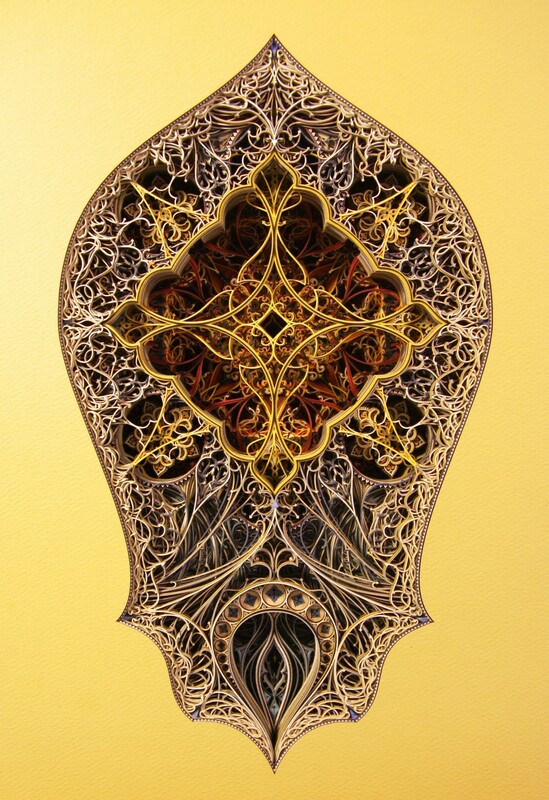 Eric Standley works with hundreds of layers of laser cut colored paper which produce these intricate stain glass windows. They are carefully layered and their positive and negative space make it as if they are floating.